Unlike its sister provinces, displaying visions of colonial vistas and picture-perfect beaches, Santa Clara doesn’t pack on the accolades for beauty. Rather, those interested in the history of the island and its long association with Che Guevara, should make their way to the center of Cuba, for a generous dose of revolutionary history and a growing edgy youth culture. More so than history, Santa Clara has a distinct personality. 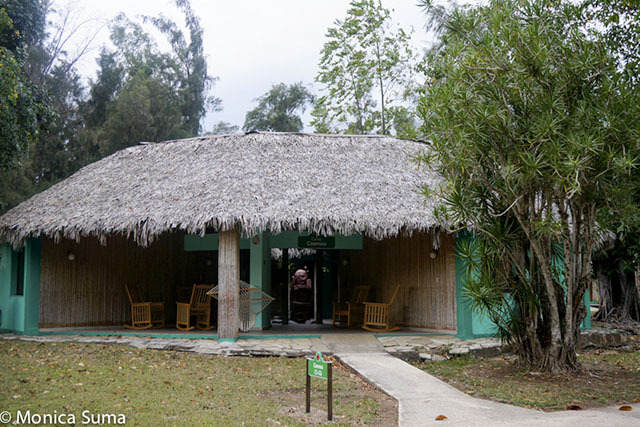 A few kilometers outside the province, a hotel recreating the villages of Cuba’s original indigenous inhabitants - the Indian Tainos - whose housings in the form of caneyes act as namesake for the property, is one such example. Intended as a tribute to the native people of the area, various sculptures can be seen around the property. Alongside it, rocking chairs and hammocks for guests to enjoy. In existence since 1966, the grounds of Hotel Los Caneyes conjugate nature and natural materials, like few properties do on the island. 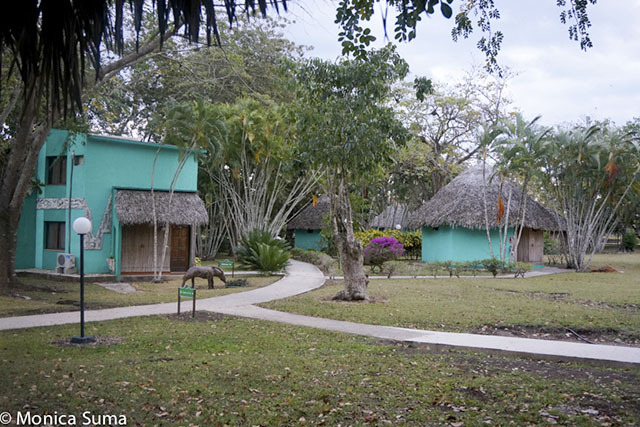 Surrounded by eucalyptuses, coconut and palm trees, the Pre-Columbian style thatched-roof huts, mostly grouped in six, confer the tranquility needed after a long day of sightseeing. Adding to the unique atmosphere, whose grounds are meticulously groomed and abounding in plants and vegetation, is the presence of birds, roosters and hens, both caged and running free. The downside to this is that those planning to sleep in, and wake up to a leisurely morning, might be in for surprise. These roosters tend to set the alarm long before the crack of down, every day. Guests can also enjoy an expansive pool, a great addition for a non-beach hotel, with a well stocked bar service. Breakfast and dinner are served buffet style in a canteen like restaurant, offering a richer variety than most other hotels in Cuba: pastries, fresh guava, and local eggs. A unique concept in overnight lodging, deeply seeded on environmentalism, be advised that Los Caneyes, renovated in 2006, can be slightly confusing to navigate at night. The lack of generous lighting to lead the path through the winding alleys of the village like property can take some time to get adjusted to. Equally so, rooms can be on the gloomy, underlit side as well, not uncommon for Cuba. Thus, an extra lantern can prove very useful here. 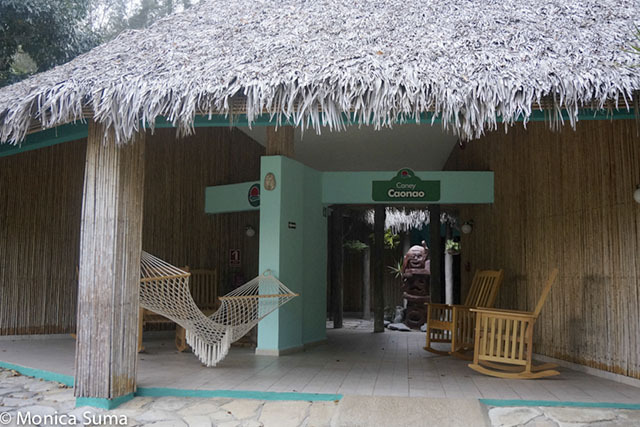 But few inconveniences aside, Hotel Los Caneyes remains an ideal spot for nature lovers, and for those looking for alternative, original accommodations while exploring Cuba. Join us in Santa Clara, on insightCuba’s Undiscovered Cuba Tour.